We are very excited to announce that we have launched our first magazine! The Better Building magazine is a quarterly magazine providing you with everything you need to know when it comes to building from informative blogs to style trends, featured homes and helpful checklists. Click here to view our Summer 2015/16 magazine. 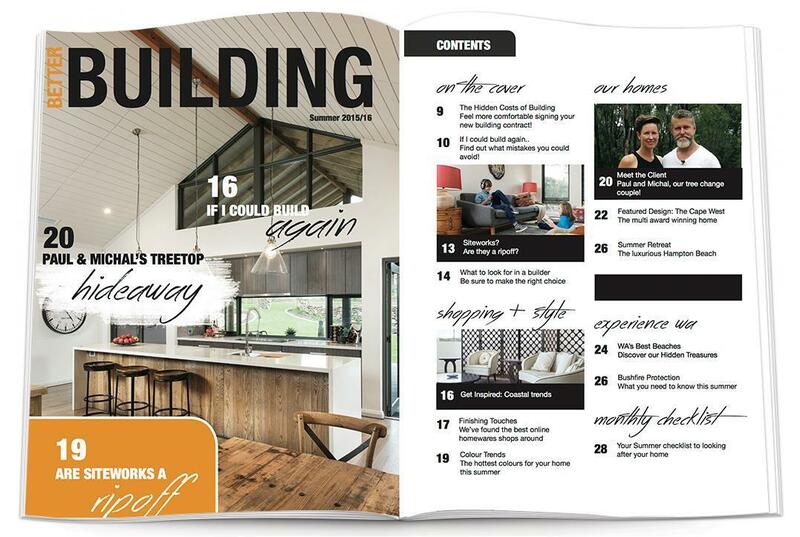 Stay tuned for release of our seasonal Better Building Magazine.